PHILADELPHIA, June 1, 2018 – The National Lacrosse League (NLL), the largest men’s professional indoor lacrosse league in North America, today announced key dates for the 2018 Expansion Draft. 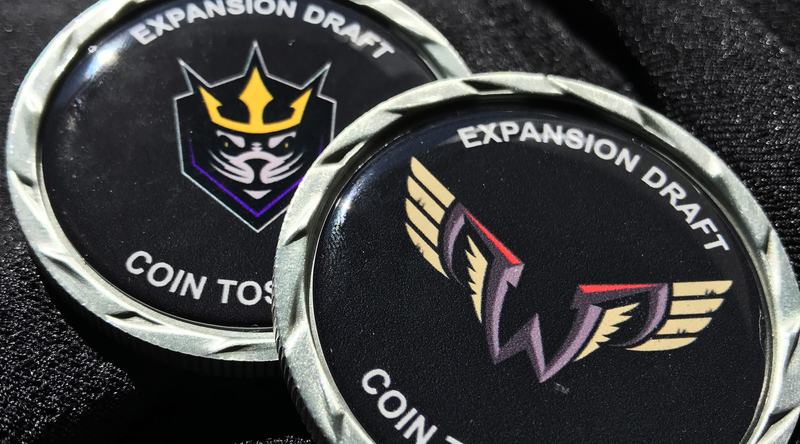 With San Diego and Philadelphia set to begin play in the 2018-19 season, a coin toss is required to allow the teams to select either the number one pick in the Expansion Draft or the Entry Draft. The coin toss will be held during halftime of tonight’s Game 2 of the NLL Finals. With two teams entering the league, the 2018 Expansion Draft is slated for July 16, 2018, where selections will be made via conference call. If a champion is crowned this Saturday, teams will be able to re-sign their own players and make trades until the roster freeze date, July 2. Current member clubs can protect a total of 11 players, comprised of up to one goalie and 10 runners or 11 runners and no goalie. In both scenarios, only five of the protected runners can be offensive players which must be approved by the Commissioner. In addition, since there are two expansion teams, each member club will only lose two players through the Expansion Draft. Clubs are not allowed to protect more players once a current player has been drafted. The 2018 NLL Entry Draft, to be held in the Fall of 2018, will include both San Diego and Philadelphia as both teams will have picks in the first round of the Draft. They will receive one additional selection at the end of the second, third, and fourth rounds.